Costa Rican DJ and producer Steve Quesada, better known as Tepes, began his career in 2009. Since then, his songs and remixes have been signed by some of the most important labels in the world, including Armada Music and Coldharbour Recordings. His original tracks, remixes and collaborations have been supported by many radio shows as Global Dj Broadcast, A State Of Trance, and Vonyc Sessions, under the names of Markus Schulz, Armin van Buuren and Paul van Dyk, to name a few. He has managed to have more than one track in the Beatport top 100 (Trance) and in 2014 one of his songs was performed by New World Punx at the Ultra Music Festival. 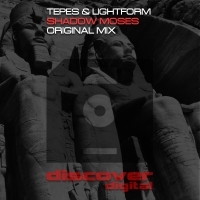 Trance lover at all times, with a unique and fresh style in his tracks, Tepes will not stop until he conquers the world with his music.